The skills learned from the day and the careers knowledge taken from the interviews were used in order to compile reports, which were presented back to their tutor groups. The feedback from both the business volunteers and the students was that it was a fun event, and a great chance to improve careers knowledge and skills whilst still at school. We are very grateful to the volunteers who gave up their time in order to make this possible and will certainly be running the event again – if you’d like to be involved please let us know. 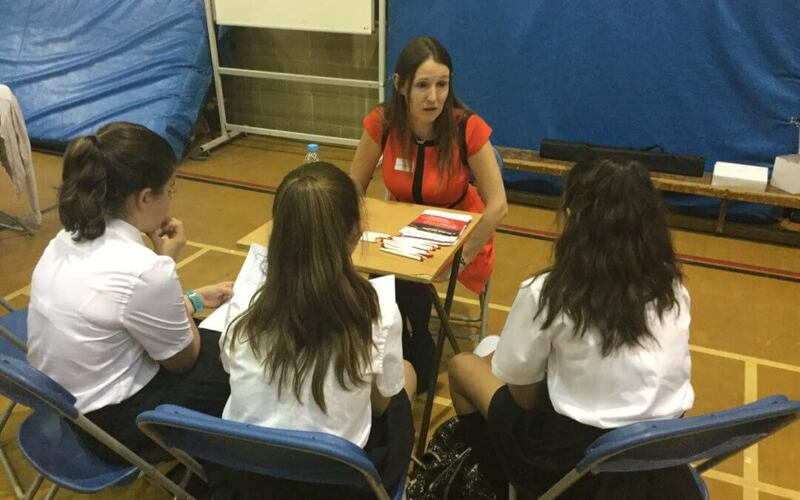 As part of our programme of connecting students with business, we also run Aspire High events; these take the form of talks from people different sectors – we have had some very interesting sessions so far which are attended by students of all ages who are interested in finding out more about that particular career.